Empty glass orchid vessels from Areo lend well to collectors with keepsakes to show off. Steve’s must-haves include recycled glass orchid vessels, which he uses as an unexpected way to display sand and shells; decoupage trays for tabletop and wall art; and hanging bamboo hurricane lanterns. 207 Ocean Ave.; 949/376-0535. Bring a rainbow of colors to your garden with bright tools from Laguna Supply. 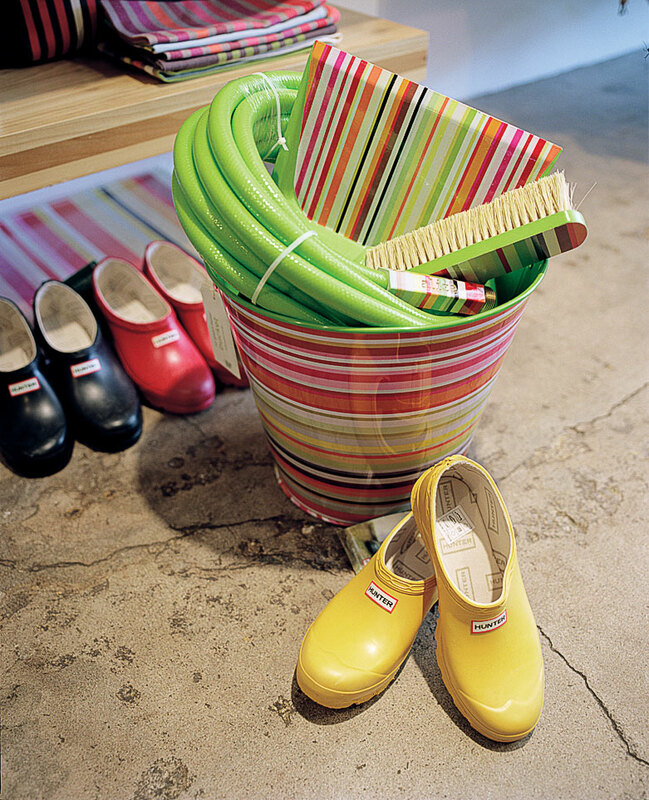 Look for pop-y, graphic home and garden tools like trowels, buckets, and even hoses in splashy colors. And (for when the chores are done) pick up a snazzy set of rainbow-hued table-tennis paddles. “In a white interior, I like the way even a broom can stand out—it actually becomes a design statement,” says Steve. 210 Beach St.; 949/497-8850. “This is a great place to pick up that one unforgettable piece that people will remember,” Steve says. 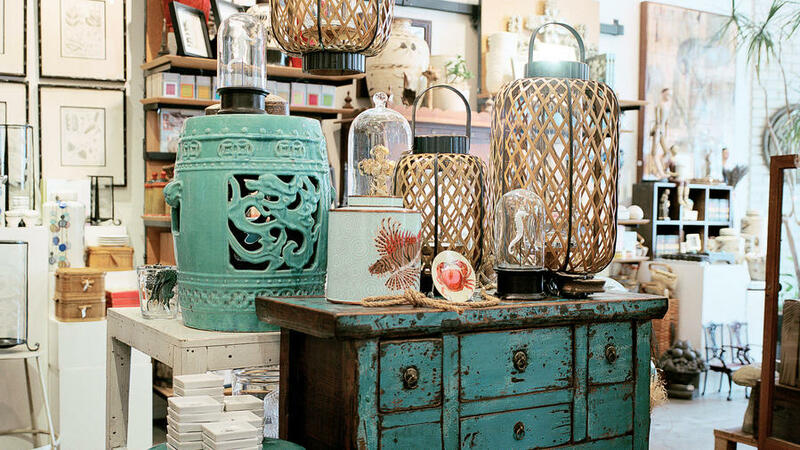 The store’s spare elegance shows off 17th- to mid­century French and Belgian antiques. It’s the kind of place where you might find ornate white urns, patinaed antique cabinets, and hand­­loomed hemp tablecloths. 370 Ocean Ave.; 949/376-4640. Cruise by for surf photography, sculpture, and contemporary surf art. Open Sat–Sun and by appointment; 911 S. Coast Hwy. ; 949/376-9155. Home essentials from Tuvalu Home are anything but ordinary. Need a chandelier? Check out theirs made of rope and clamshells. This emporium has sunburst mirrors, rope and clamshell chandeliers, burlap pillows, and crisp white slipcovered furniture Steve loves. “I like to include one piece of slipcovered furniture in white cotton, usually the couch. Just one piece, though; otherwise the place starts looking too slouchy.” 295 Forest Ave.; 949/497-3202. Ready for a shopping break? Steve loves La Sirena Grill, inside an old casita a few blocks from the beach, for a fresh-grilled salmon taco, strawberry watermelon agua fresca, and a big butterscotch cookie for dessert. $; closed Sun; 347 Mermaid St.; 949/497-8226. 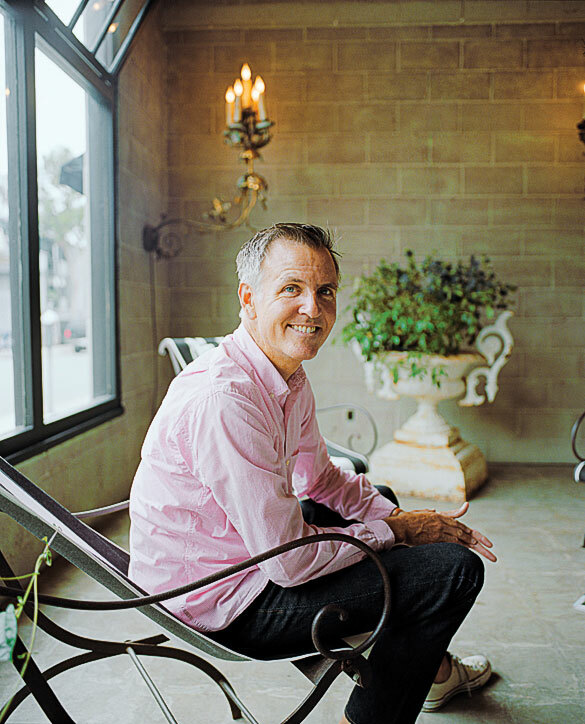 SoCal designer and sustainable home restorer Steve Jones shares his design savvy: go for fun, and never fussy.